This is a custom fine silver pendant on sterling silver chain. I formed silver into the script letters E and D to form a unique heart for a client to give to his special someone. The letters were sculpted by hand and polished to a high sheen. 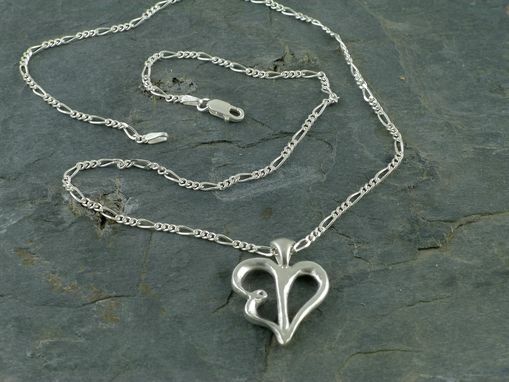 Customized heart jewelry is always a romantic gift. Dimensions: Pendant measures 1" long and 5/8" wide and is on an 18" chain.